***HOUSESHARE***ALL BILLS INCLUDED*** Situated within a very short walk to the town centre lies this stunning and recently refurbished five bedroom terraced house. A real must see! Call Northwood to get the inside view on 01473 299070. Internally comprising of entrance hall, two newly fitted modern shower rooms, separate cloakroom, contemporary kitchen/breakfast room and five spacious double bedrooms, this beautifully presented terraced house really has the 'wow' factor! Furnished throughout with each bedroom benefiting from a luxury double bed, modern set of wardrobes and chest of drawers. Externally to the rear of the property there is an enclosed south facing garden, mainly laid to lawn with a patio area. 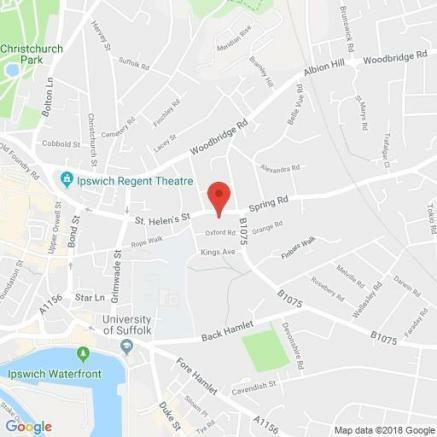 Located within very easy reach of local shops, the University of Suffolk, Suffolk New College, the Marina, Ipswich Town Centre and Ipswich Hospital - making it ideal for all professionals! Available for immediate let - Call Northwood to view on 01473 299070. Vinyl flooring. Radiator. Doors to Bedroom One and Two. Door to utility. Under stair cupboard. Stairs to first floor. Bedroom One: 16' 3"max x 12' 9"
Fitted carpet. Bay fronted window. Vertical wall mounted radiator. Power points with USB connection. Bedroom Two: 13' 0" x 11' 8"
Fitted carpet. Radiator. Feature fireplace. French doors to rear aspect leading out to garden. Utility Area: 9' 7" x 5' 5"
Vinyl flooring. Two washing machines. Doors to kitchen/breakfast room and shower room. Suite comprising of back to wall WC, wall hung wash basin and double shower cubicle. Window to side aspect. Radiator. Vinyl flooring and tiled walls. Kitchen/Breakfast Room: 14'1" x 10' 2"
Range of modern wall and base units with two integrated ovens. Integrated induction hob. Breakfast bar. Windows to side and rear aspect. Door to side aspect leading out to garden. Bedroom Three: 16' 4"max (13' 0"min) x 11' 8"
Fitted carpet. Radiators. Feature fireplace. Recess shelving. Window and bay window to front aspect. Bedroom Four: 12' 9" x 11' 0"
Fitted carpet. Window and radiator to rear aspect. Feature fireplace. Built in wardrobes. Bedroom Five: 9' 9" x 9' 1"
Fitted carpet. Feature fireplace. Window and radiator to rear aspect. Suite comprising of Shower cubicle, wash basin with vanity unit and low level WC. Opaque window to side aspect. Vinyl flooring and tiled walls. Two piece suite comprising of low level WC and wall mounted wash basin. Opaque window to side aspect. Vinyl flooring. Enclosed. Mainly laid to lawn with patio area. Gated access to rear. This property is marketed by Northwood, Ipswich at £475 per month. Rightmove has calculated the price per week for comparison purposes only. Property reference 750. The information displayed about this property comprises a property advertisement. Rightmove.co.uk makes no warranty as to the accuracy or completeness of the advertisement or any linked or associated information, and Rightmove has no control over the content. This property advertisement does not constitute property particulars. The information is provided and maintained by Northwood, Ipswich.